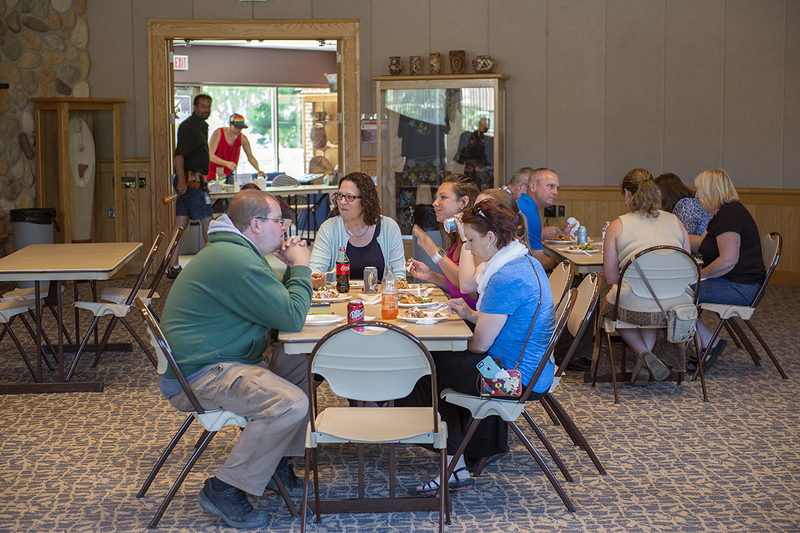 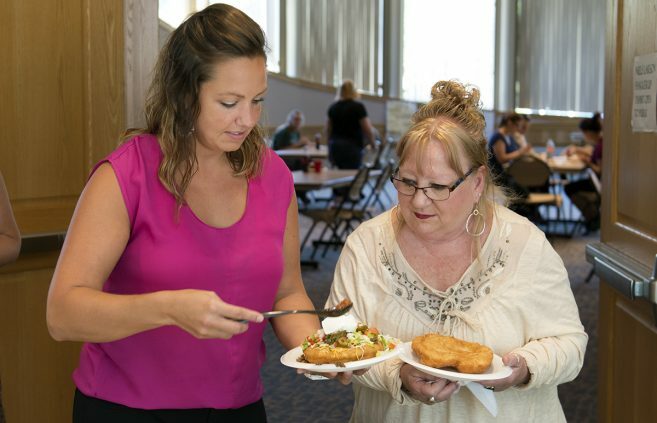 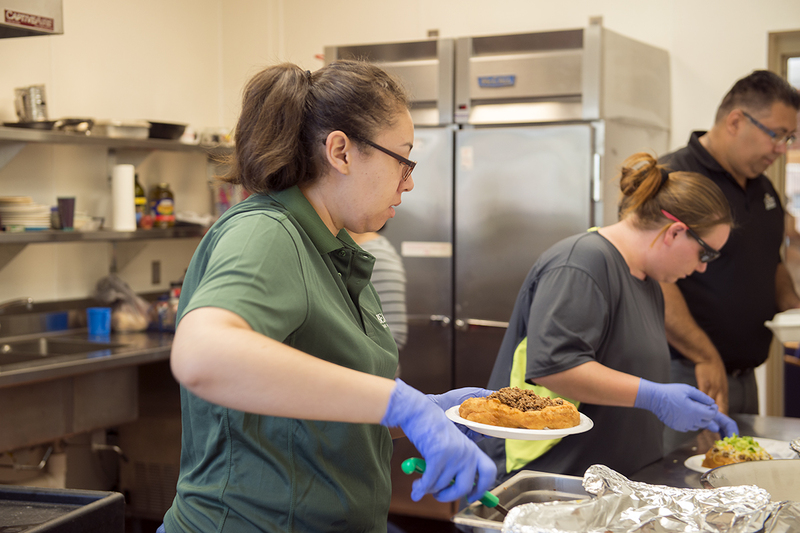 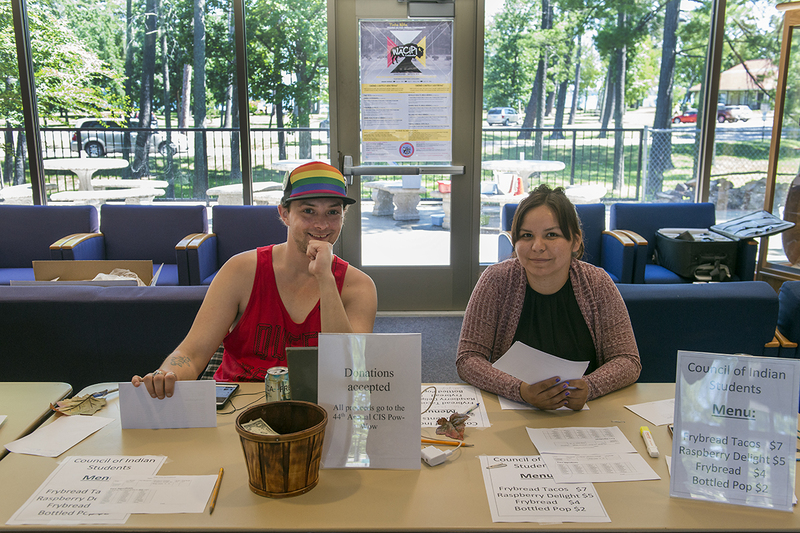 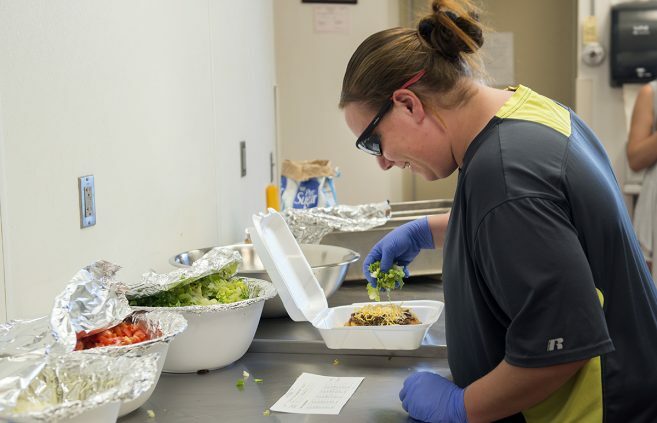 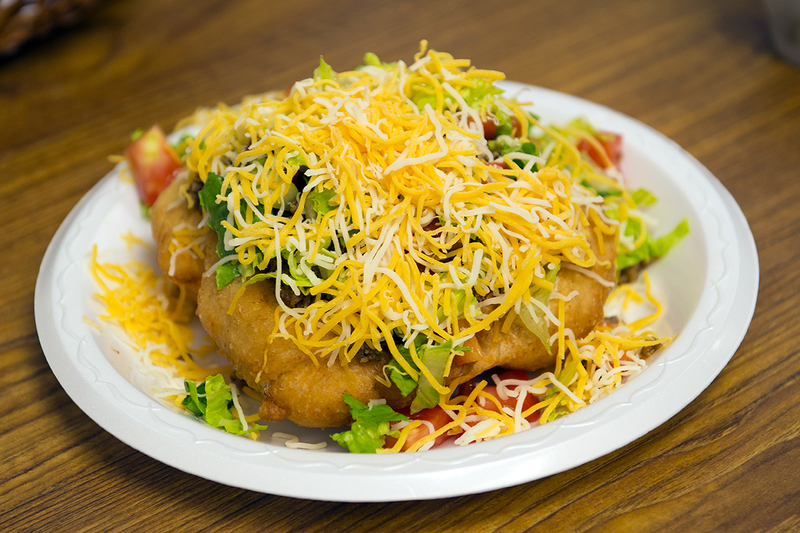 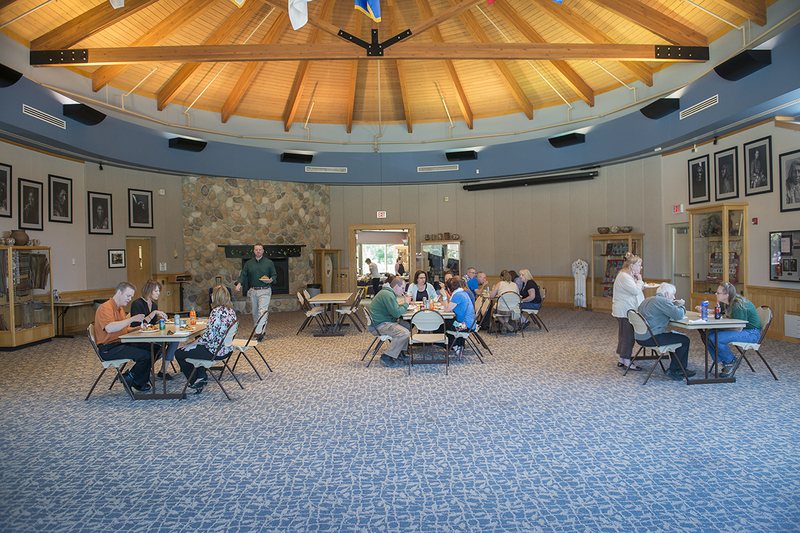 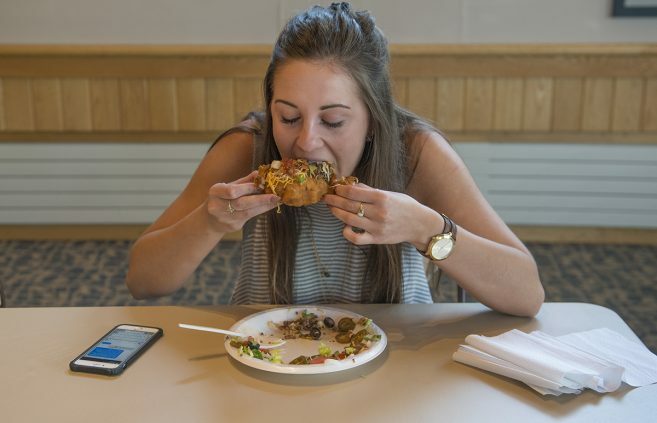 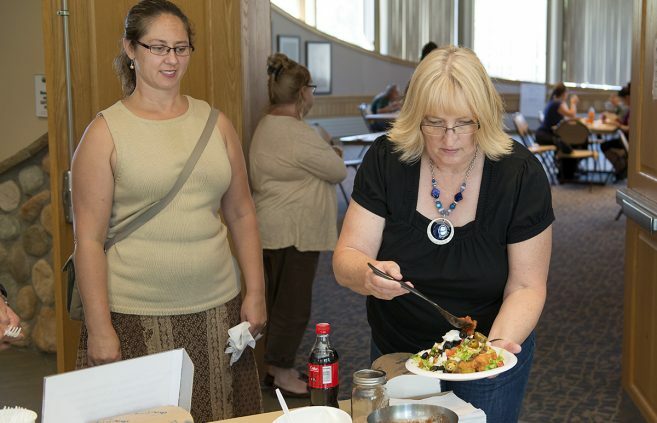 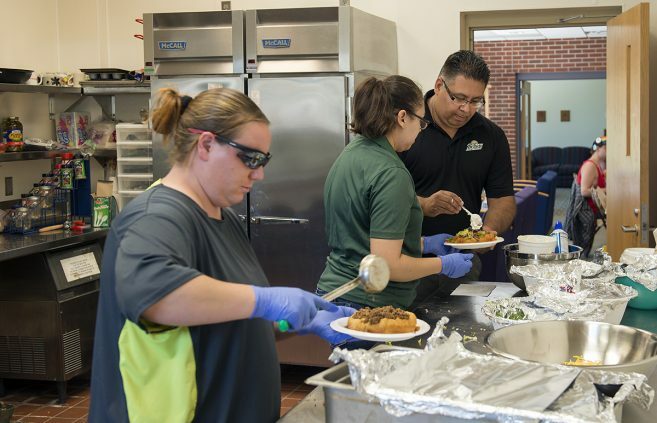 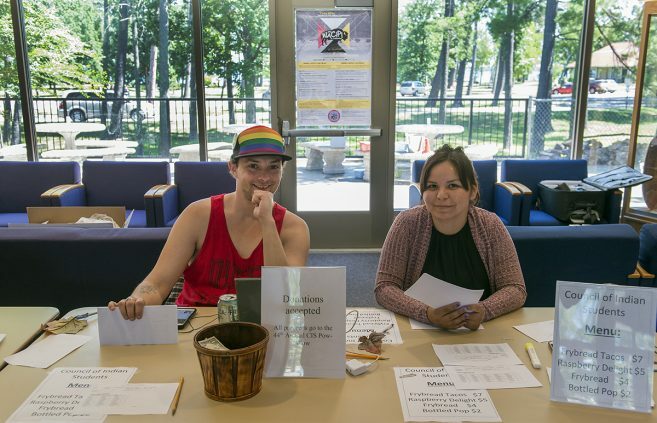 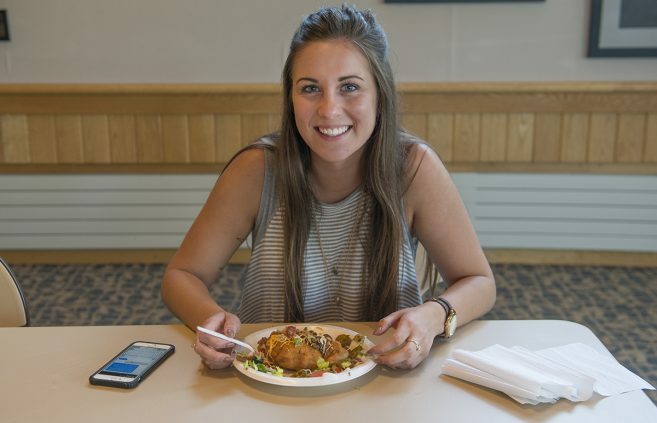 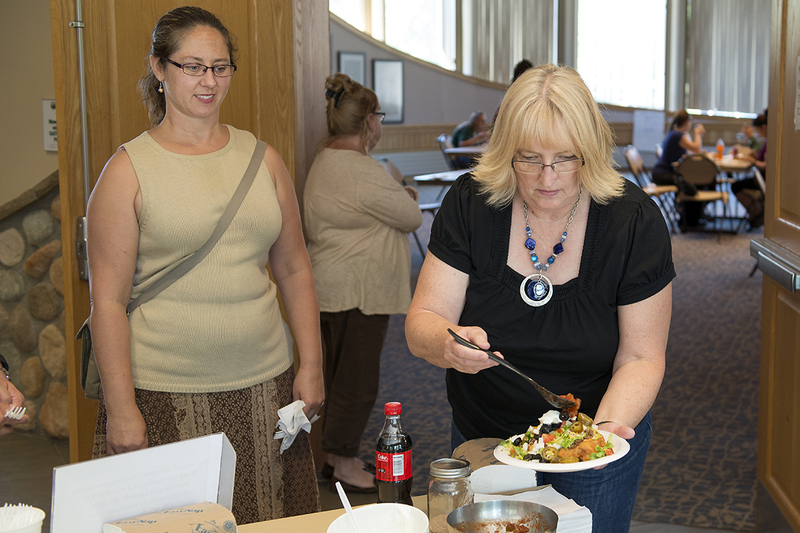 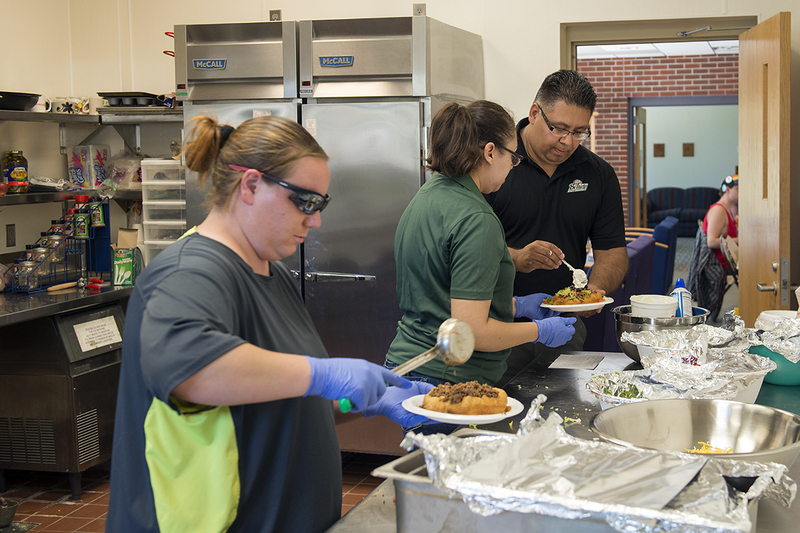 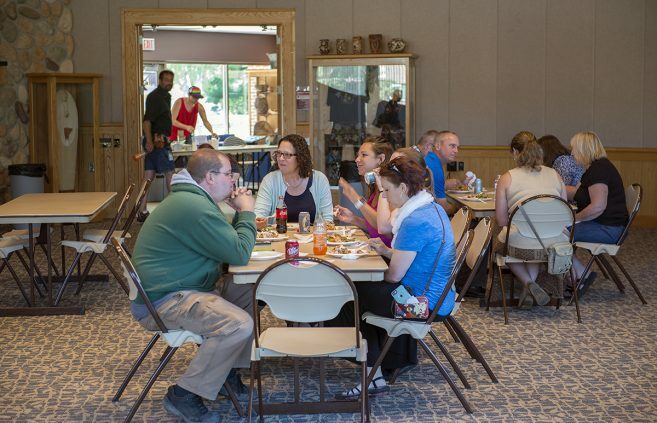 Bemidji State’s Council of Indian Students hosted a frybread taco fundraiser over the lunch hour on June 29 in the American Indian Resource Center. 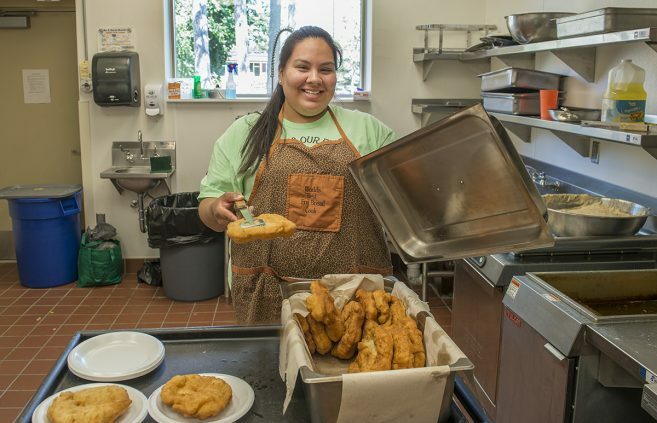 All proceeds will support the 44th Annual CIS Pow-Wow, scheduled for Nov. 19. 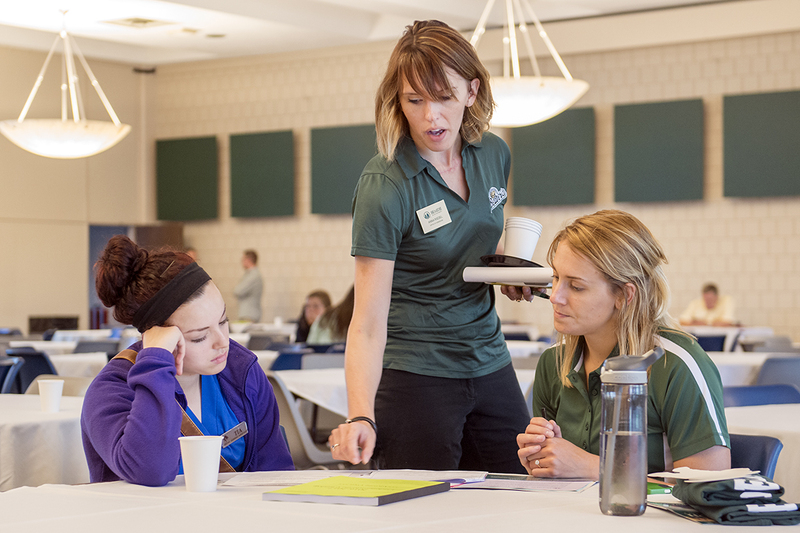 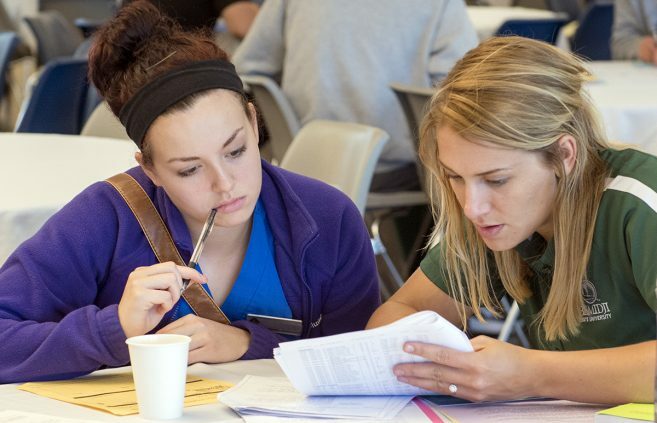 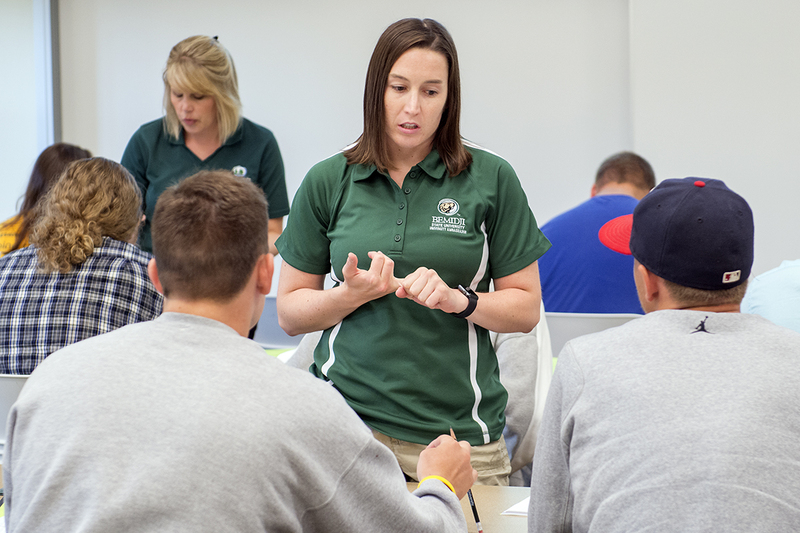 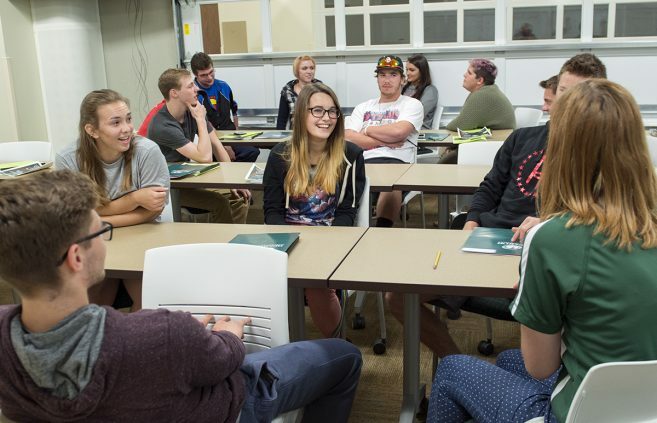 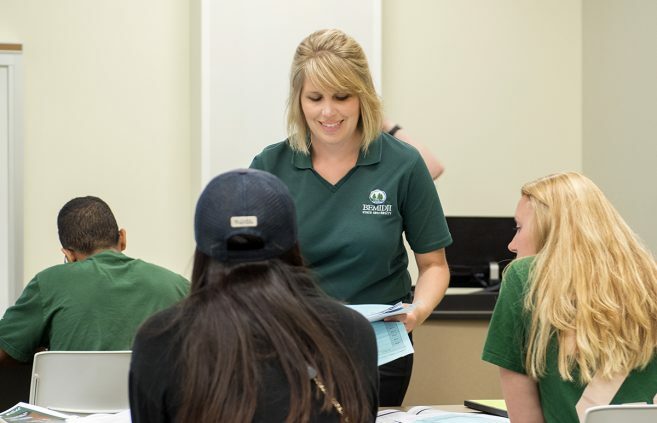 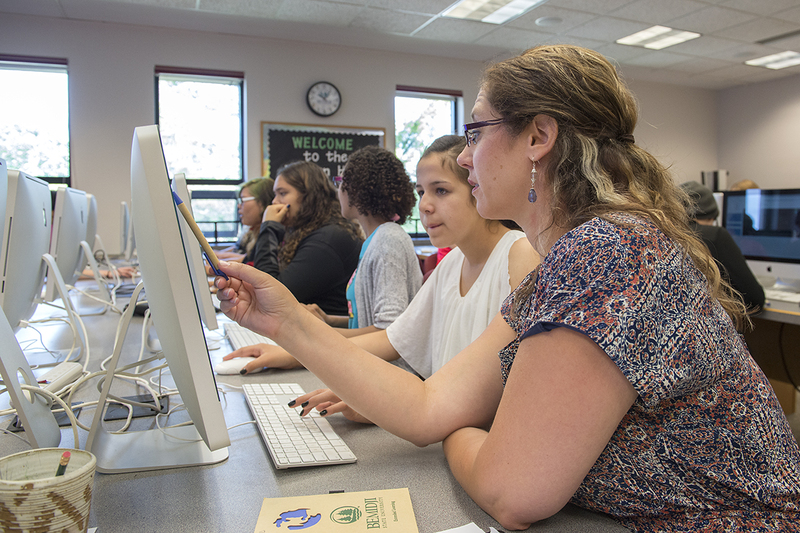 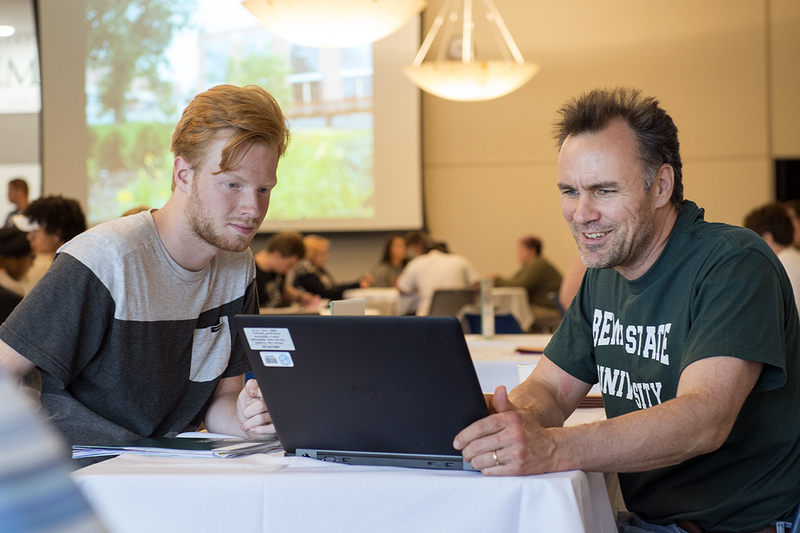 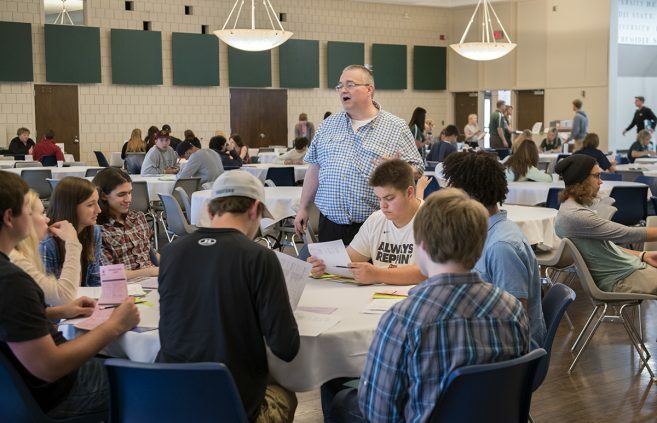 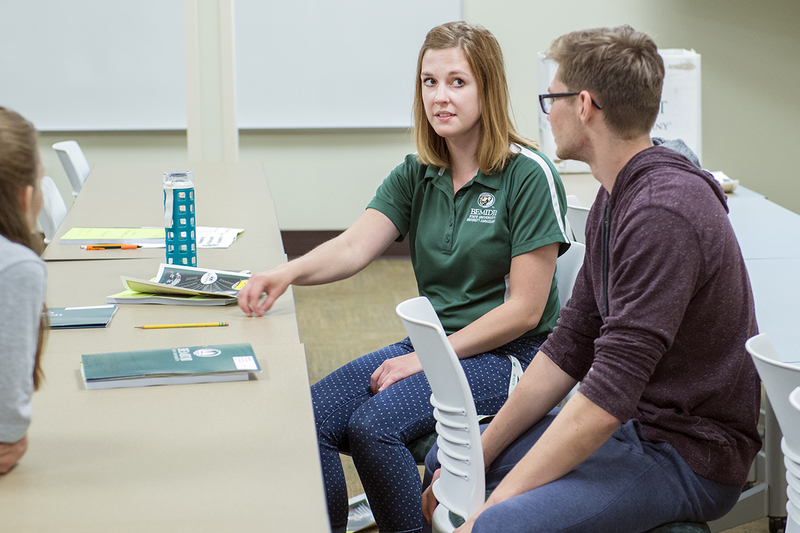 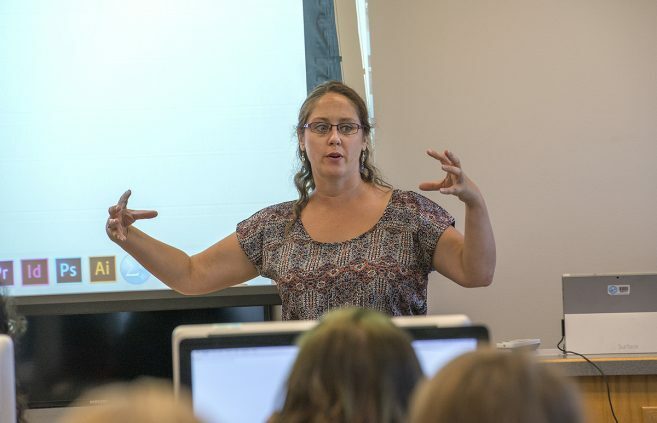 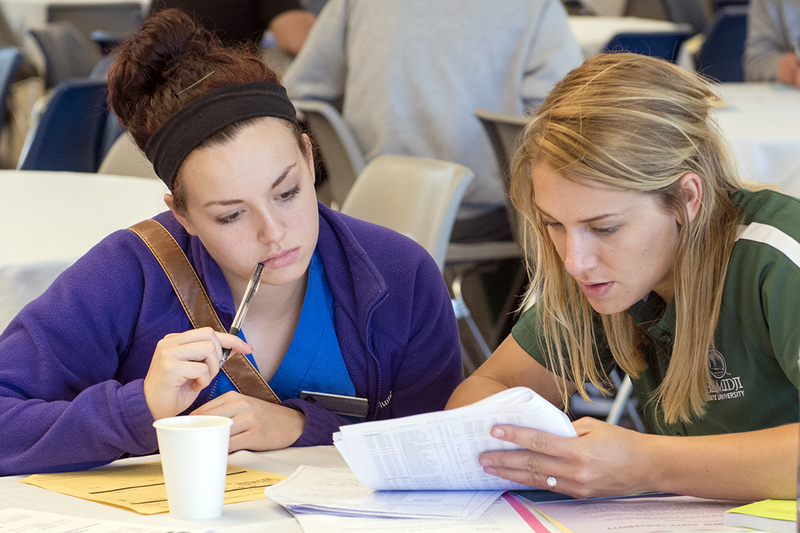 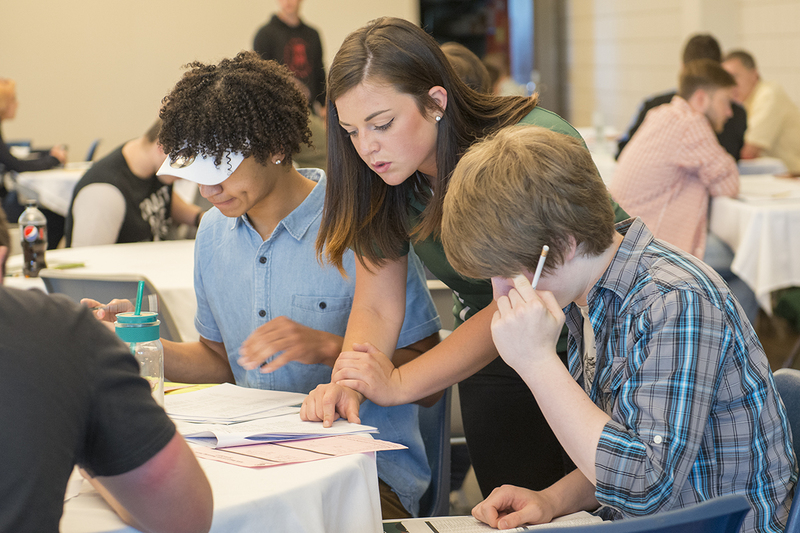 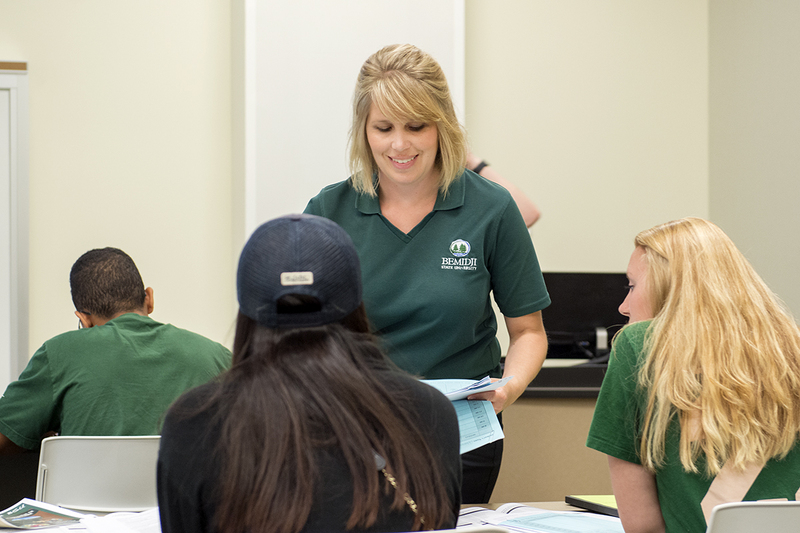 After a two-year partnership with Winona State University, Bemidji State University’s English Language Center is now being operated and administered entirely on campus. 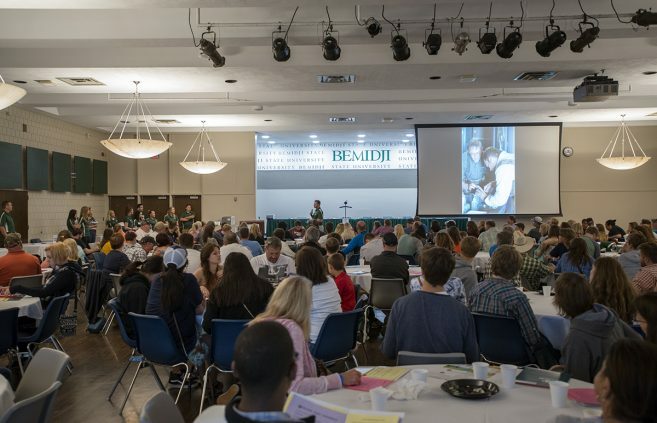 As all of us here at Bemidji State University prepare to welcome Dr. 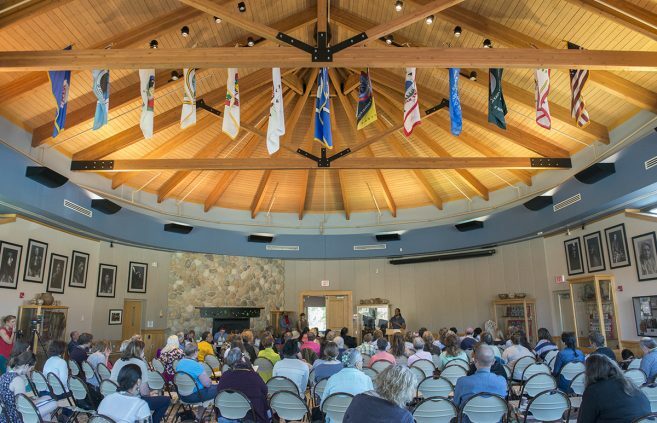 Faith Hensrud to campus as our 11th president beginning on July 1, her friends and colleagues at the University of Wisconsin-Superior have been saying goodbye. 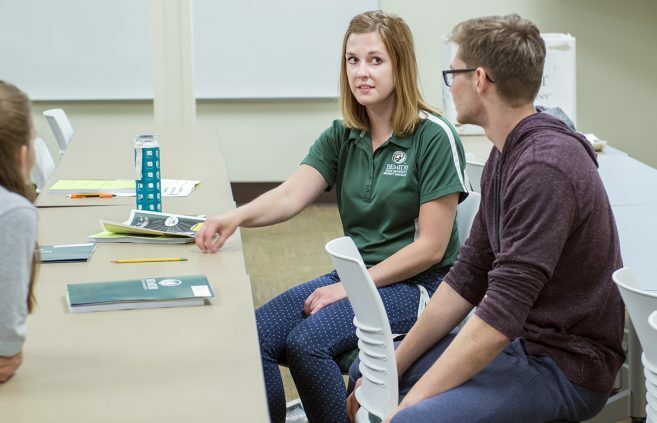 On June 23, 2016, Olivia Myszkowski’s parents returned to Bemidji State University to walk around the campus where they met as students in 1978. 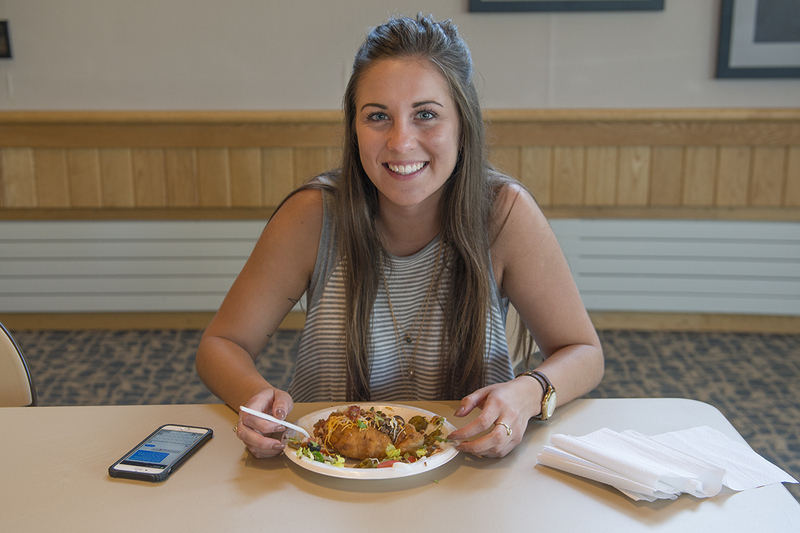 Olivia took advantage of this occasion to share with her friends on Twitter the story her mom tells about how they met. 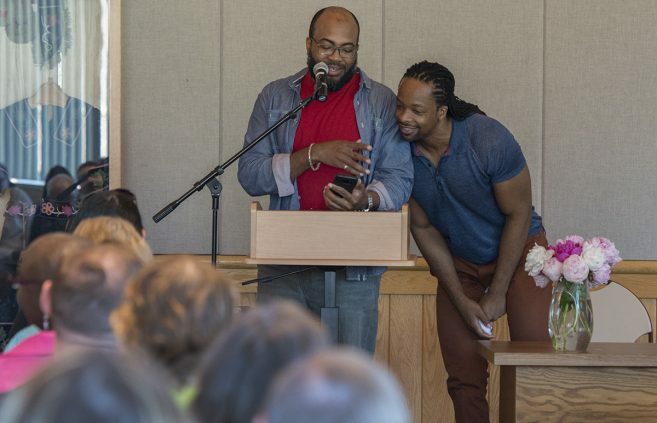 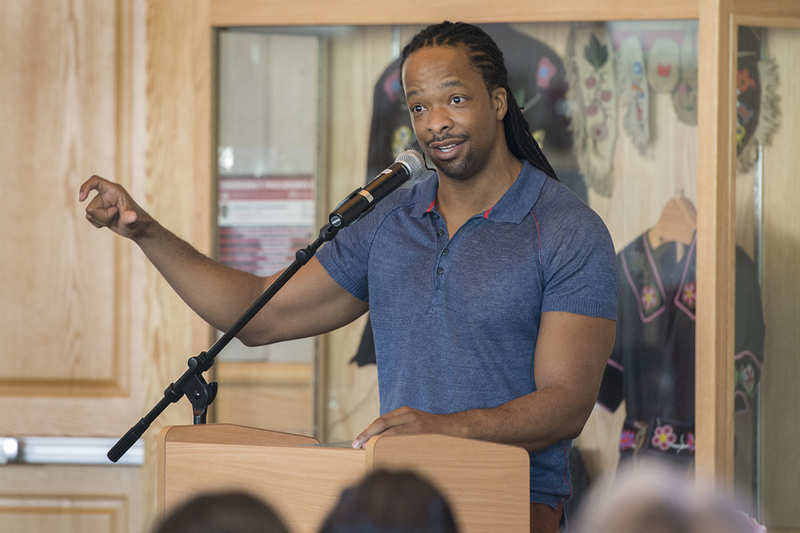 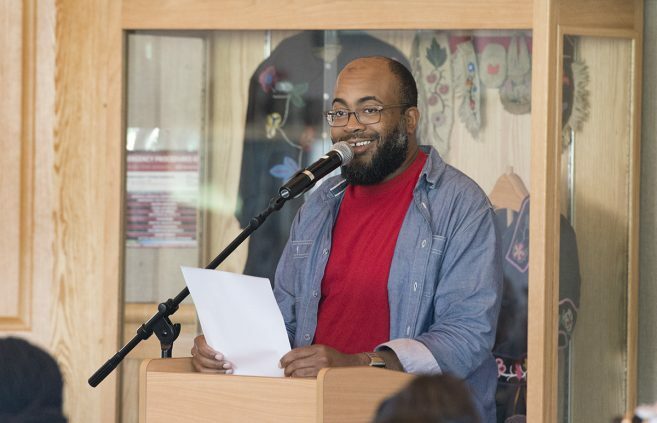 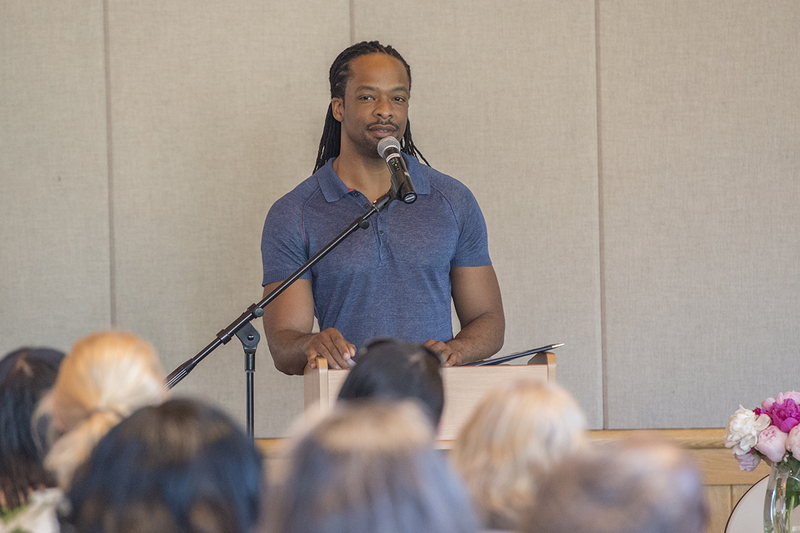 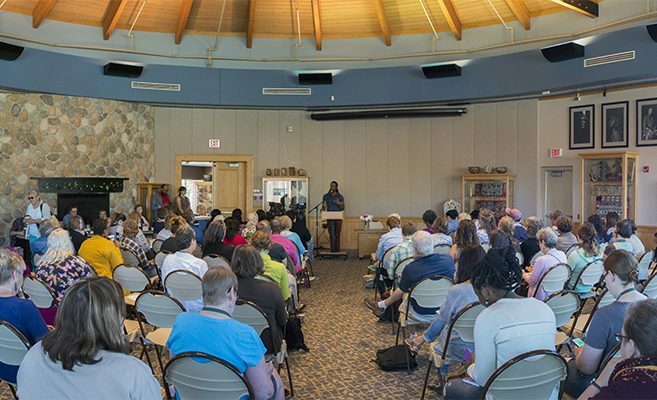 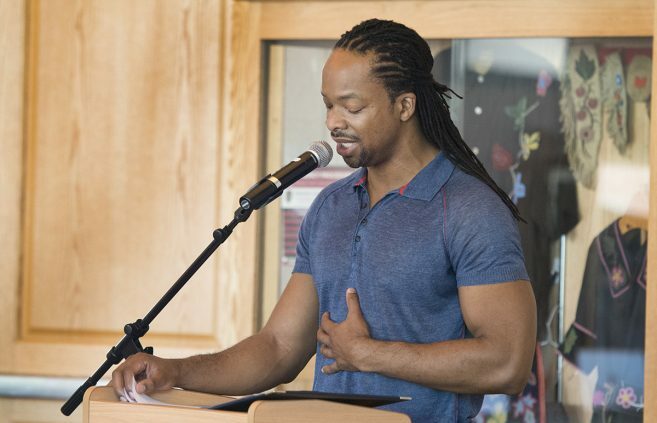 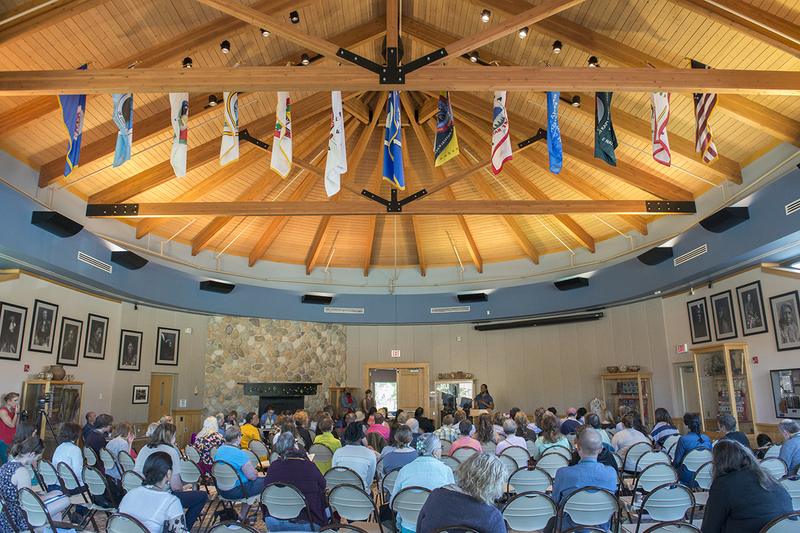 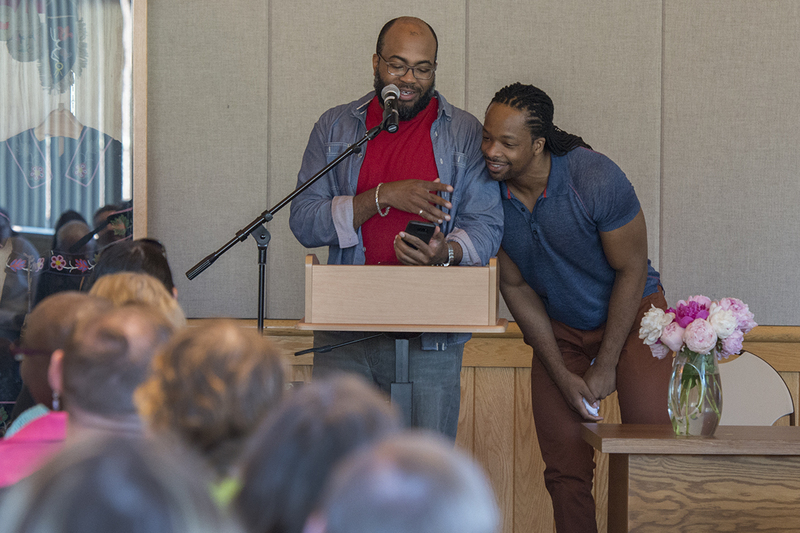 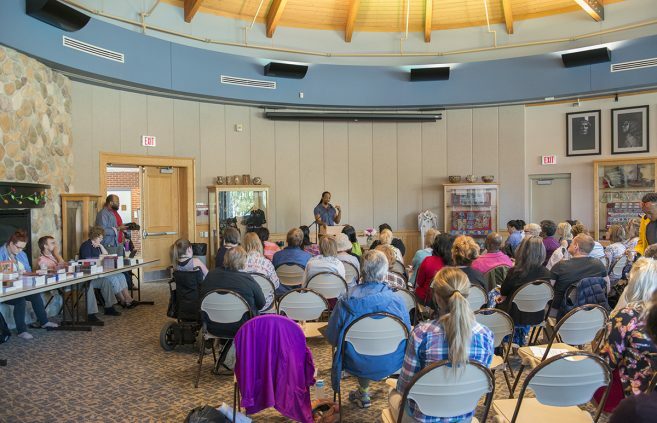 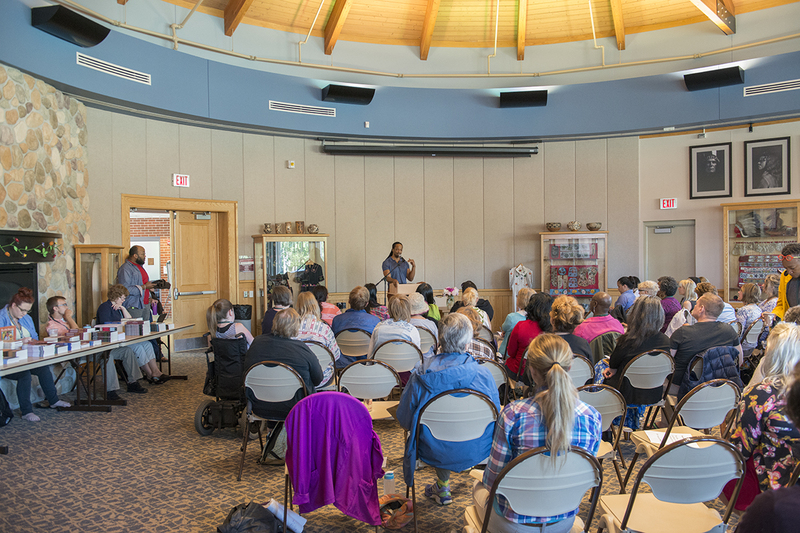 Poet Jericho Brown delivered a craft talk at the annual Minnesota Northwoods Writers Conference in the Gathering Room of the American Indian Resource Center on the Bemidji State University campus on June 23. 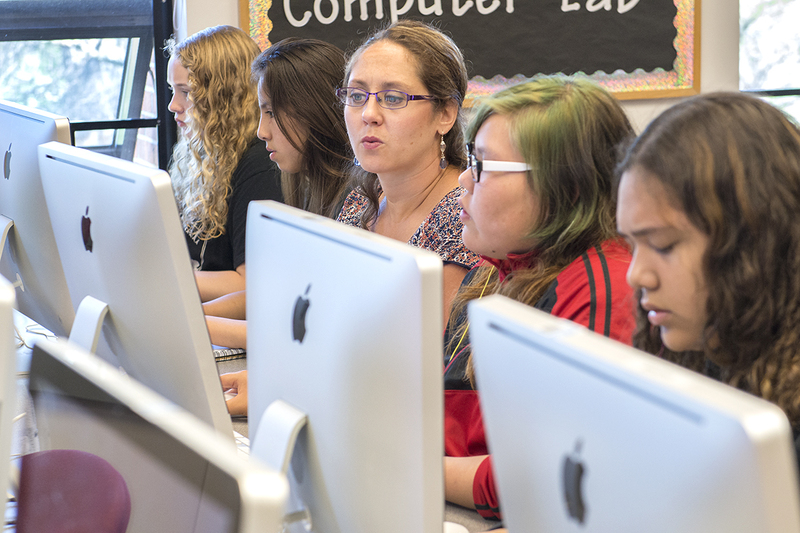 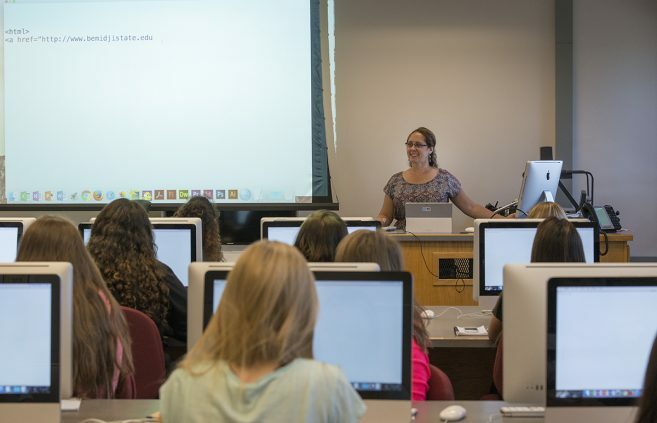 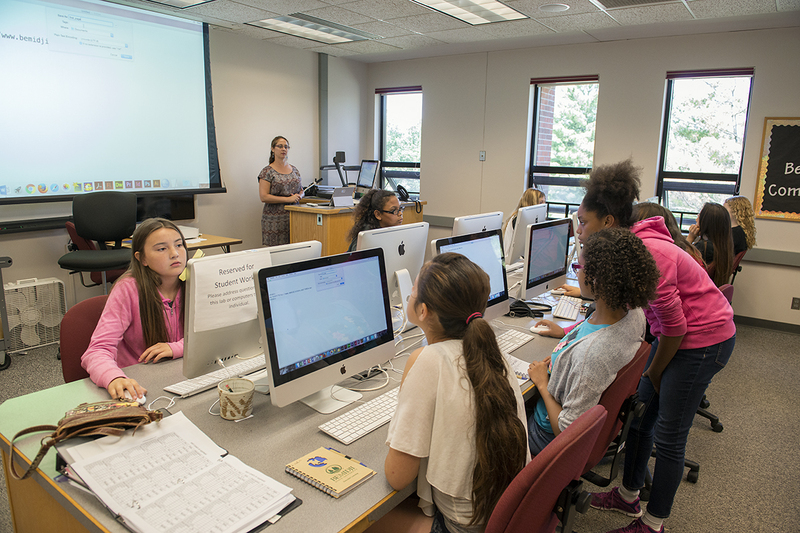 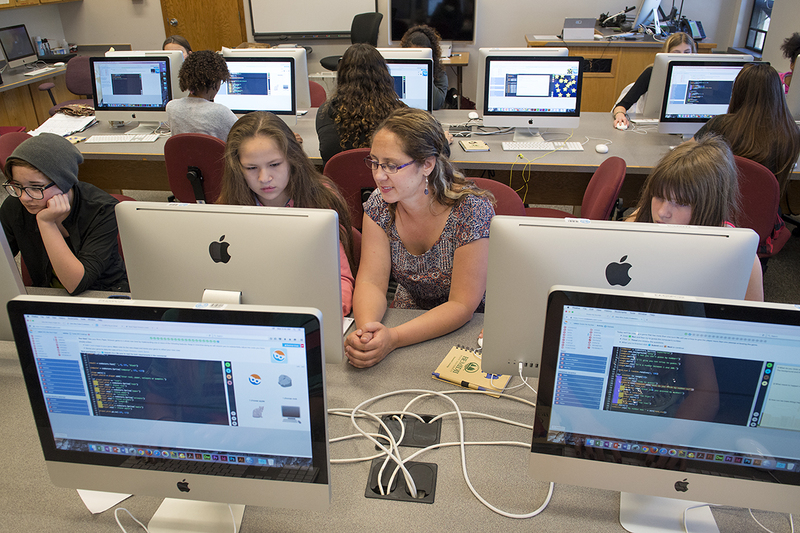 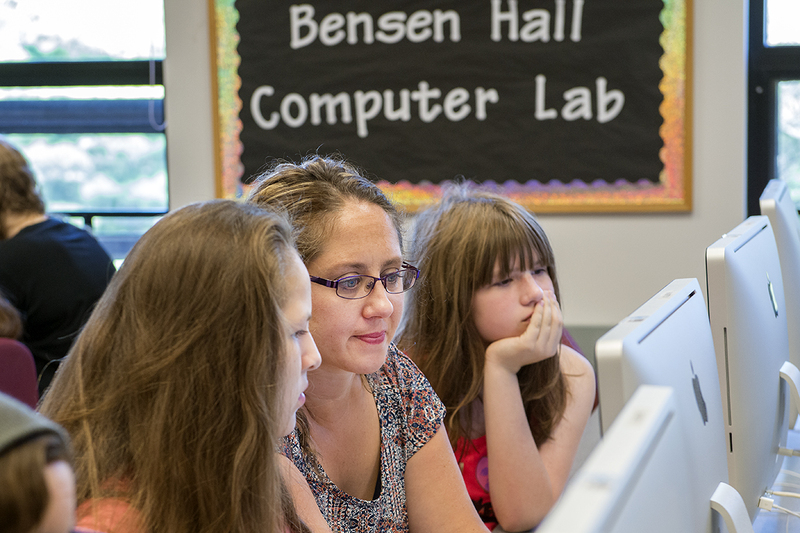 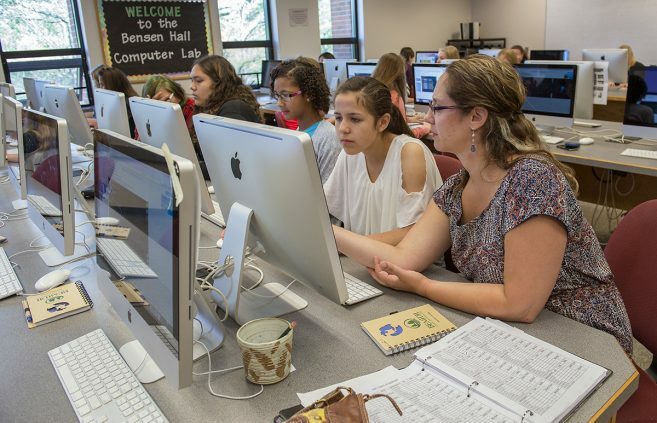 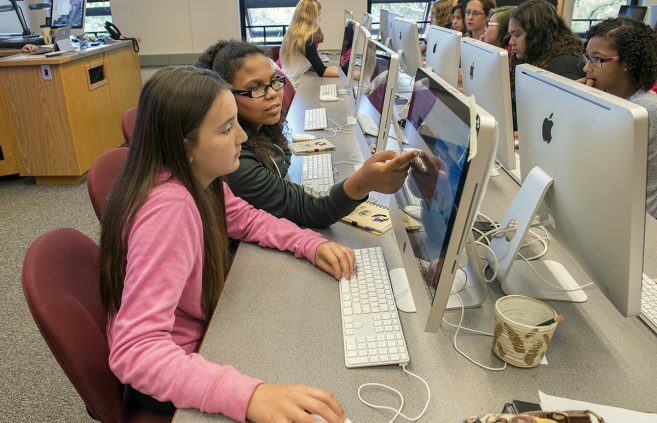 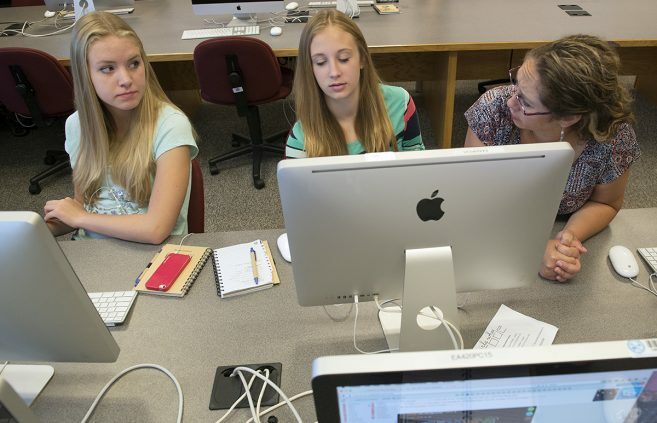 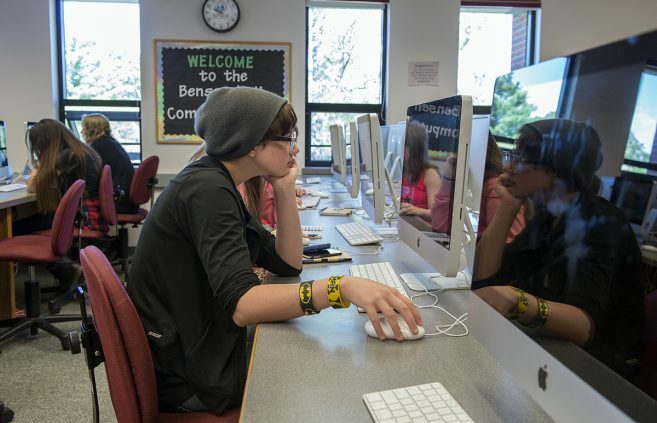 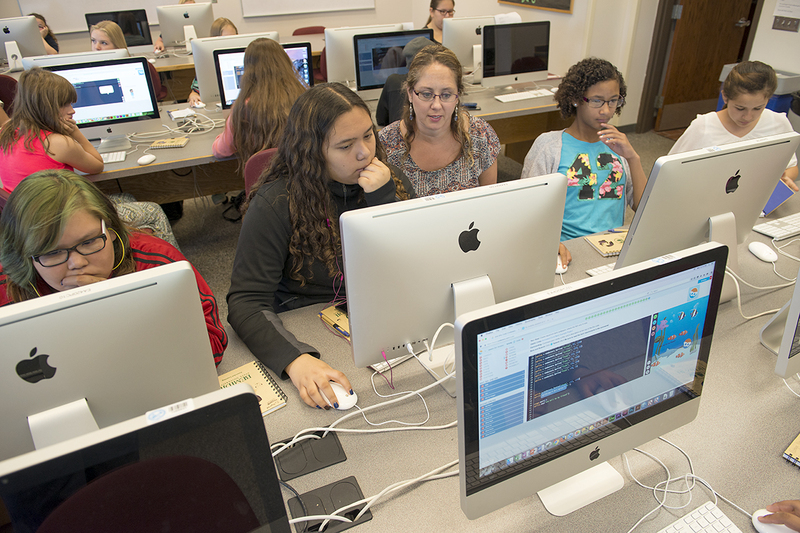 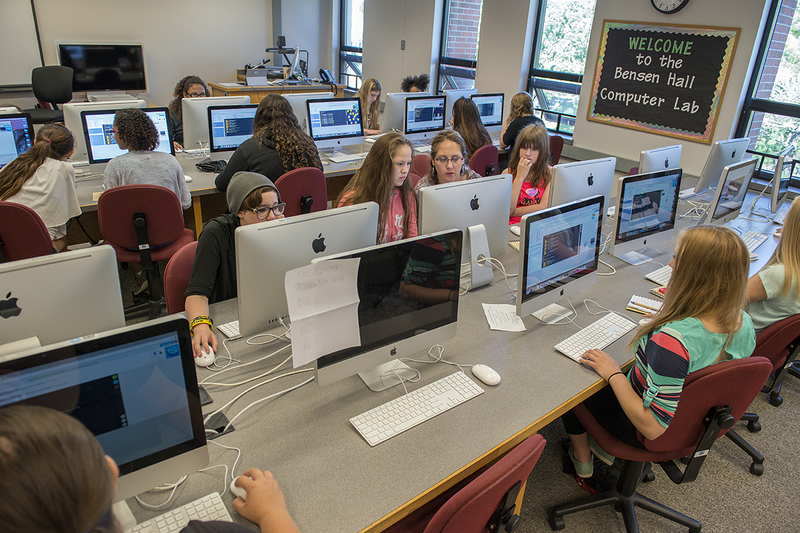 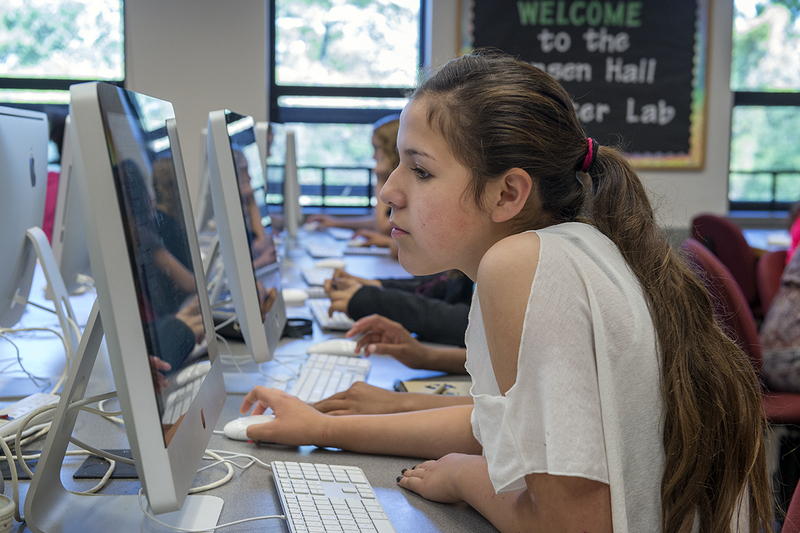 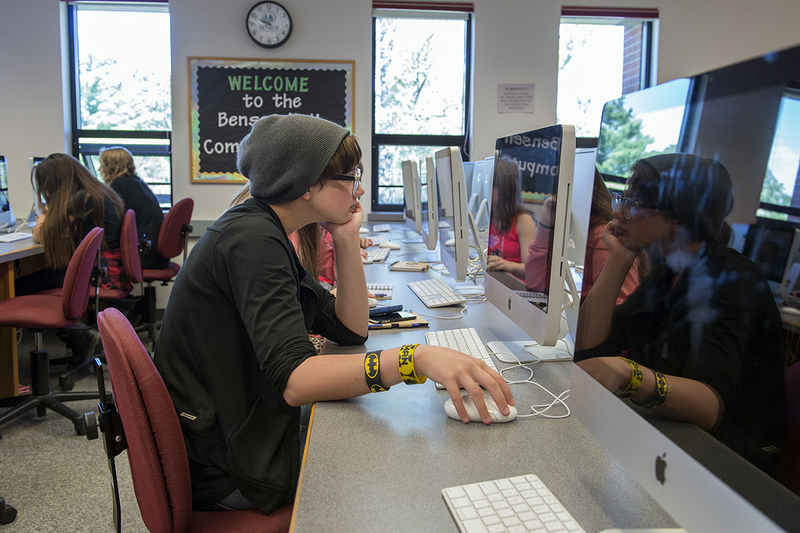 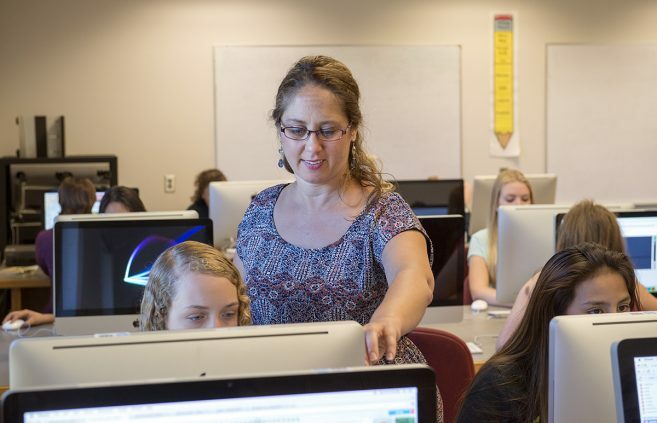 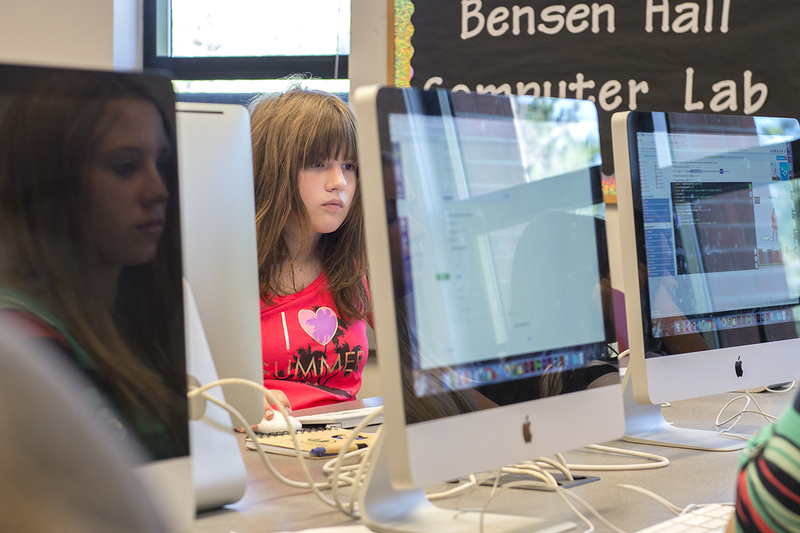 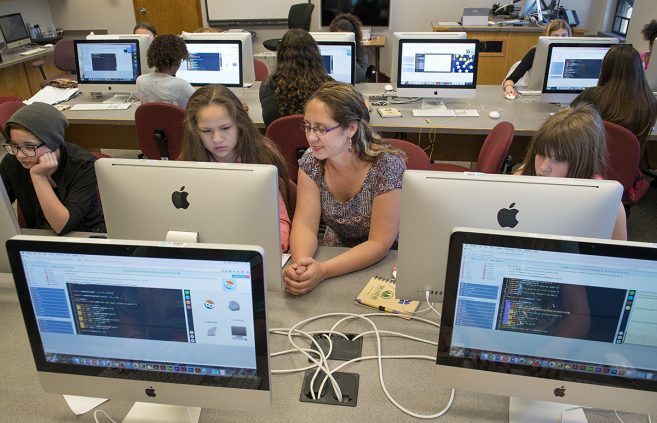 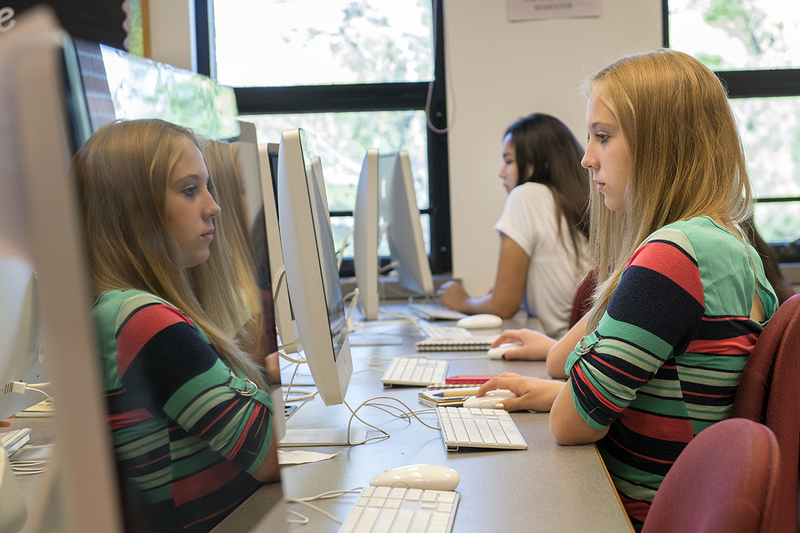 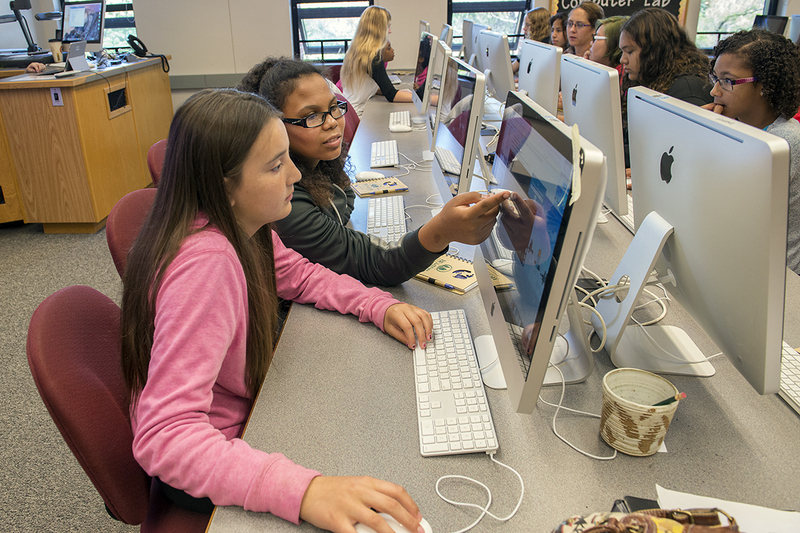 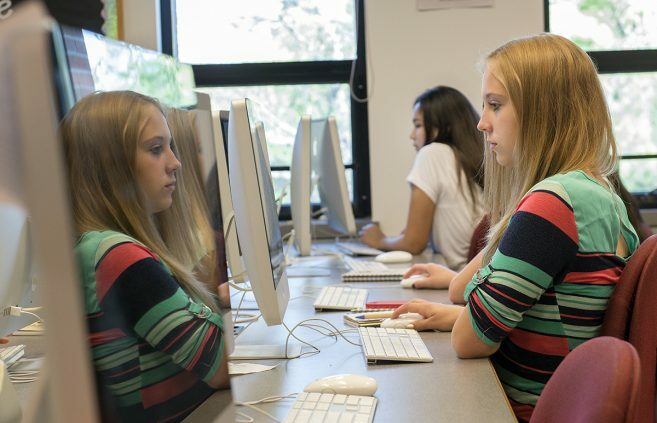 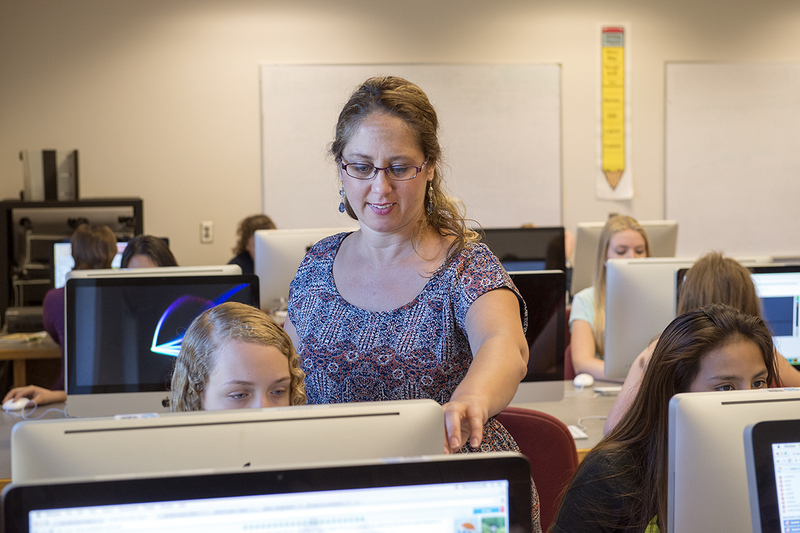 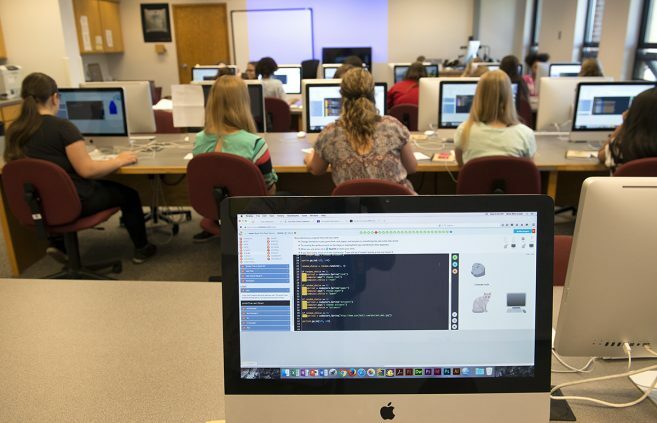 Girls who will be starting grades 6-12 this fall spent two weeks learning computer coding skills at a free Girls Who Code camp at Bemidji State University and Northwest Technical College. 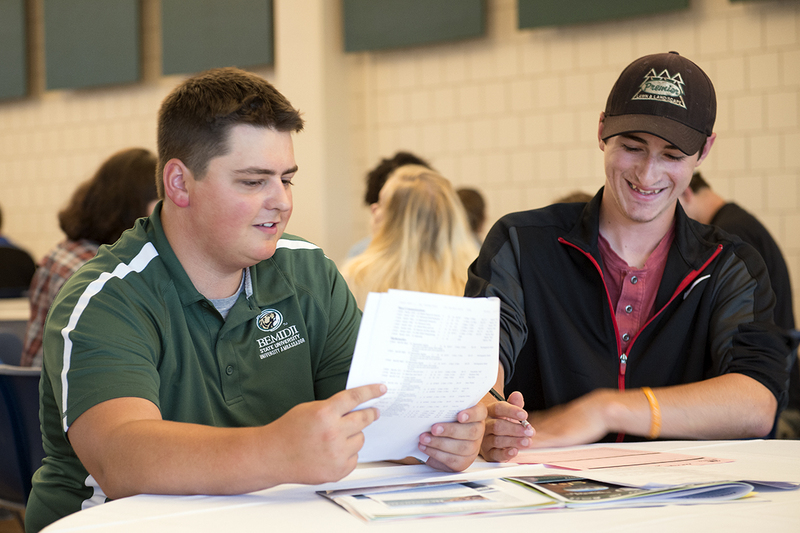 Great College Deals, a free online college information resource for students, has ranked Bemidji State 11th on its list of the 20 best college deals in America for environmentally minded students. 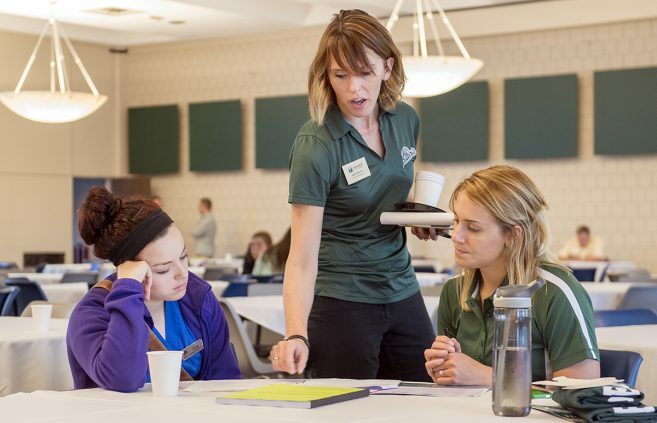 The Board of Trustees of Minnesota State Colleges and Universities today endorsed an initiative that changes how the system refers to itself from “MnSCU” to “Minnesota State.” The move does not change the nation’s fifth-largest higher education system’s legal name, which is written in state statute. 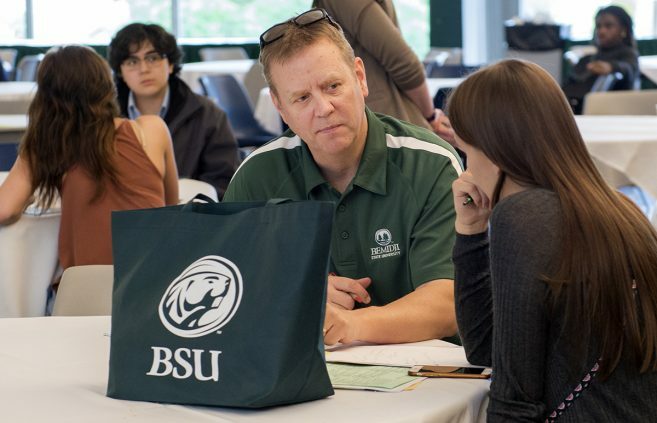 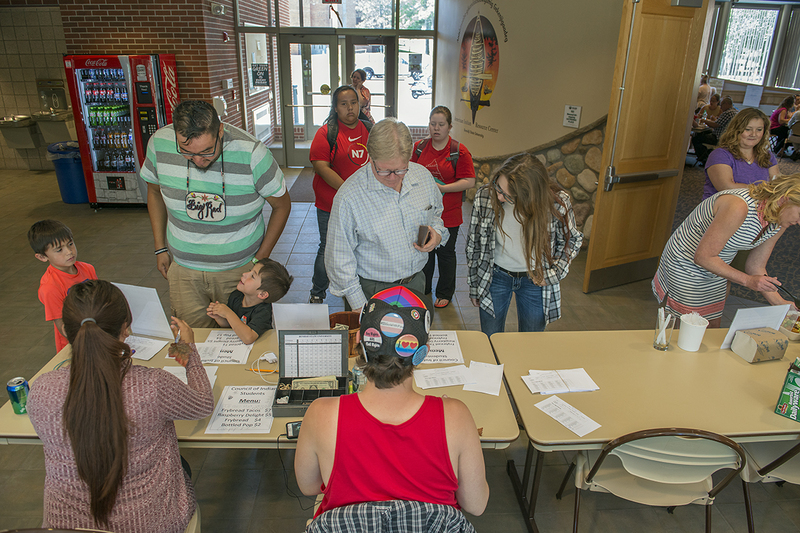 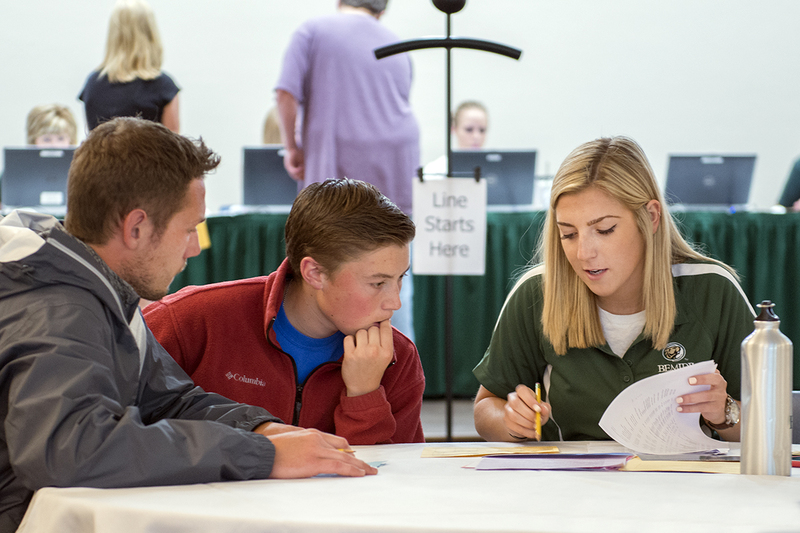 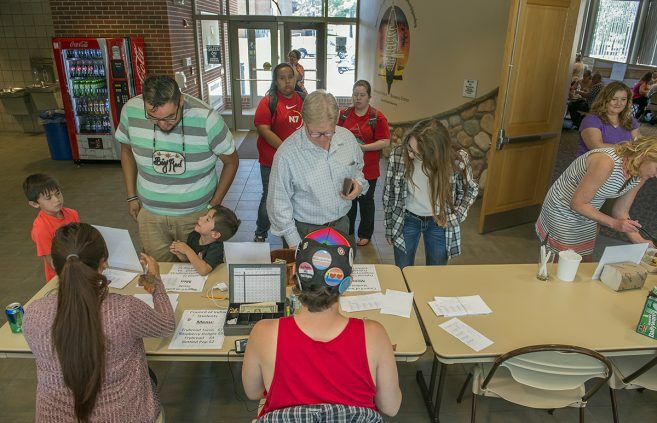 The Office of Admissions held its final Academic Advising and Registration event for BSU’s Fall 2016 freshman class on June 17. 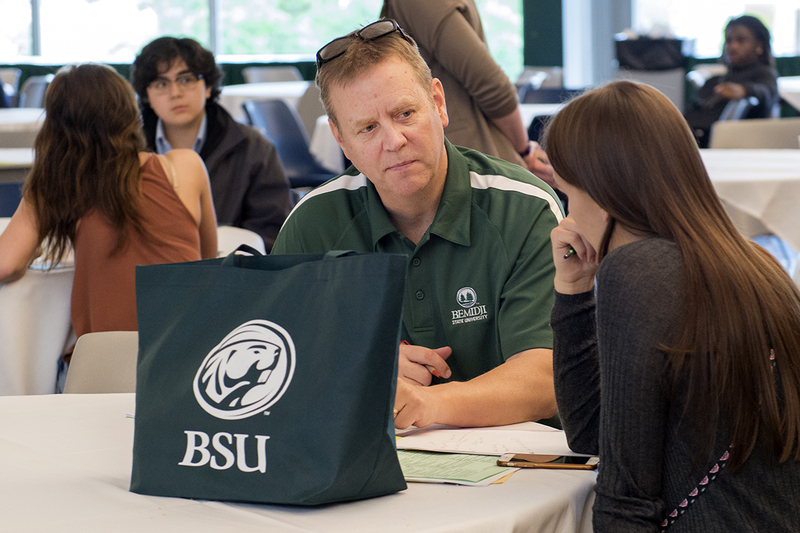 Dr. Michael F. Anderson has been appointed interim provost and vice president for academic and student affairs for Bemidji State University and Northwest Technical College.